When I was 10 I wanted to be: nun, basketball player, pilot, dentist and academic. I work as an Engineer, Researcher. 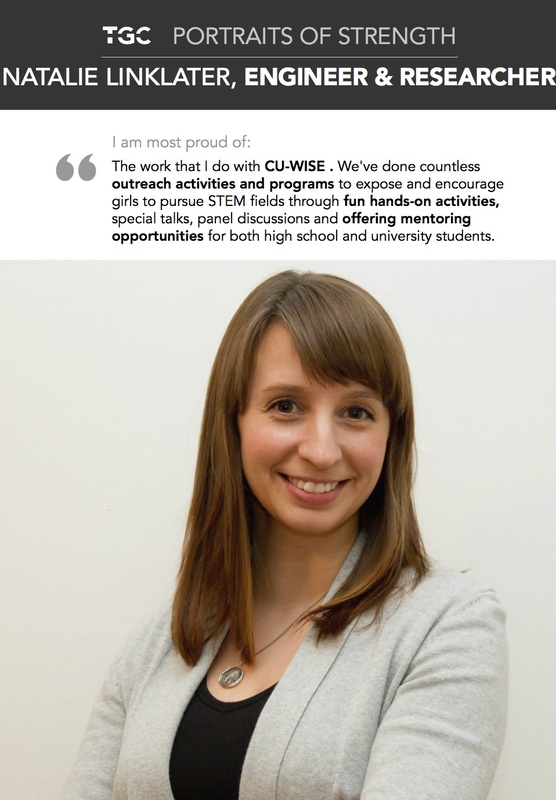 I am proud of the work that I do with CU-WISE . We’ve done countless outreach activities and programs to expose and encourage girls to pursue STEM fields through fund hands-on activities, special talks, panel discussions and offering mentoring opportunities for both high school and university students. The biggest obstacle I have faced is struggling with my own self confidence; similarly to other women, I too succumb to the impostor syndrome. To overcome it, I think it’s important to celebrate your successes and those of other talented females. My advice to women is: you’re smart enough and you can do anything you set your mind to.